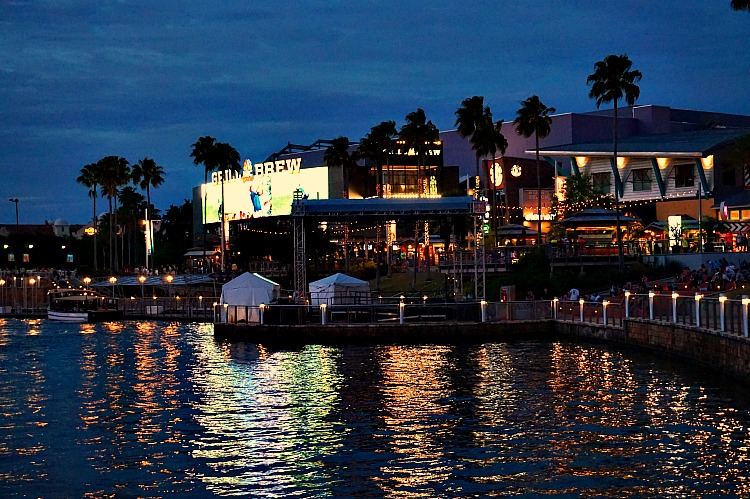 Universal CityWalk, full of buzz and excitement, is one of Orlando’s major attractions. Busy all day long, it bursts with action at night when theme parks close their doors and tourists are looking for more entertainment. It offers something for everyone – nightclubs, restaurants, concert venues, shops, cinemas, street performers and more. 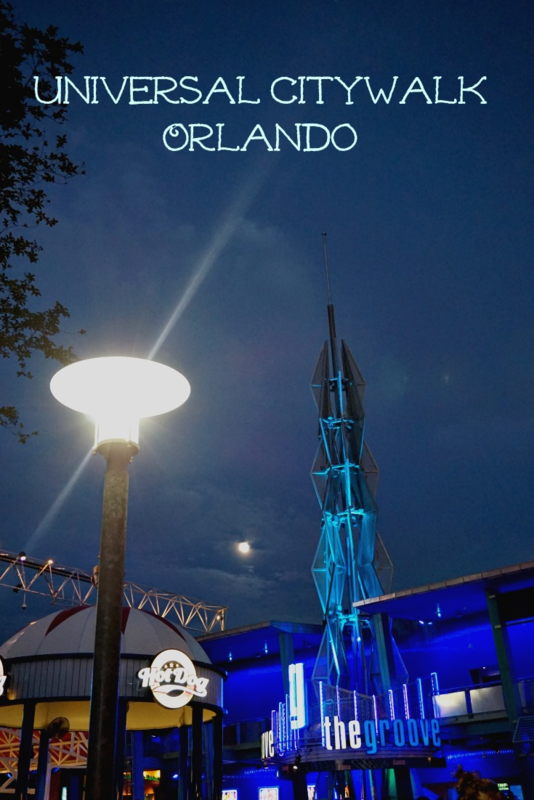 Busy with the Traveling Mom writers retreat in Orlando, I devoted only one night for my first time visit to Universal CityWalk. It was impossible to cover all I wanted to see, so I concentrated on attraction/activities that in my opinion should not be missed. 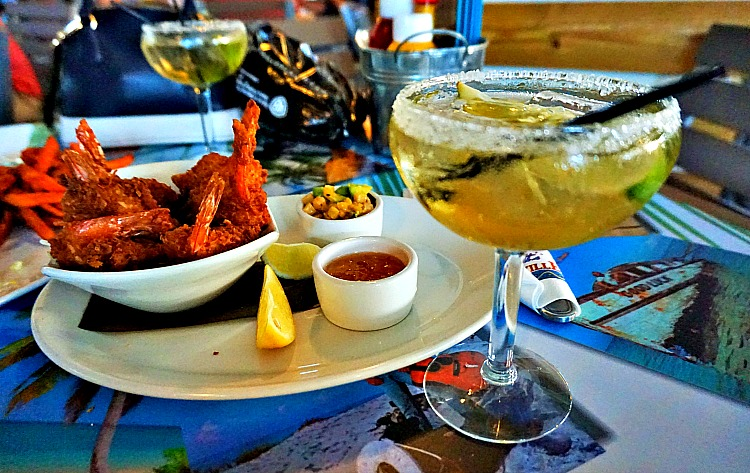 I came hungry because I knew that delicious food and fabulous drinks will be calling my name. Call me old fashioned, but I love Jimmy Buffett’s music. It spells vacation! The laid-back atmosphere reflected in his songs can be found at this landmark restaurant. 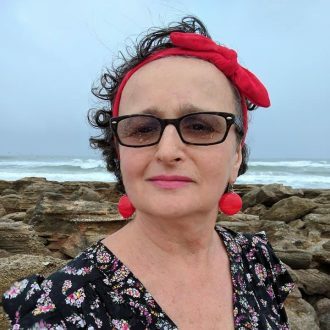 I spent a few hours there with my friend, Barb Straub, enjoying the views from the Porch of Indecision (a spacious outside patio) and listening to live music. 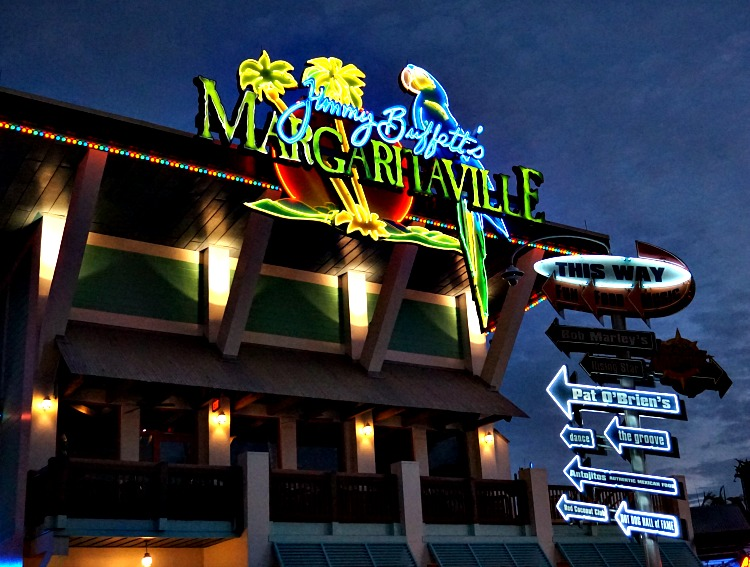 Our food was great and our Perfect Margaritas were just that – perfect! After two rounds of those, we could easily understand why Jimmy’s songs were so happy. 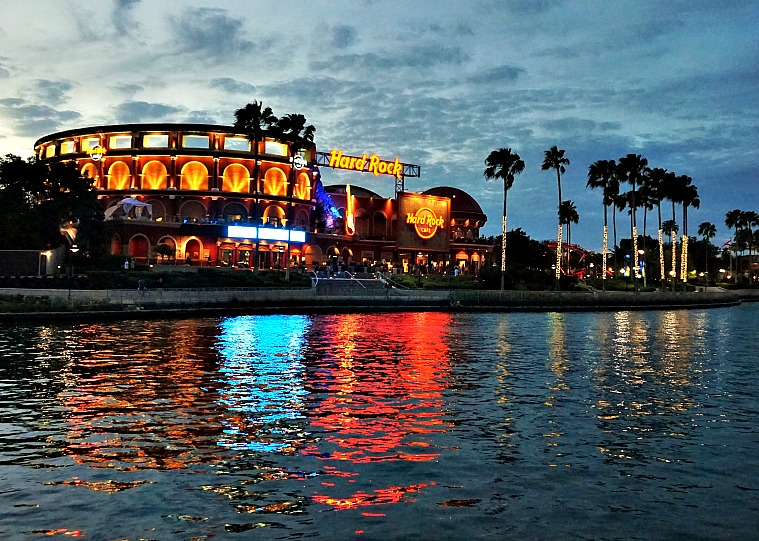 For more of an upbeat experience, visit the world’s largest Hard Rock Cafe featuring with non-stop rock music. No need to ask for directions – you will not miss it! It stands alone like a coliseum beautifully reflected in the water. 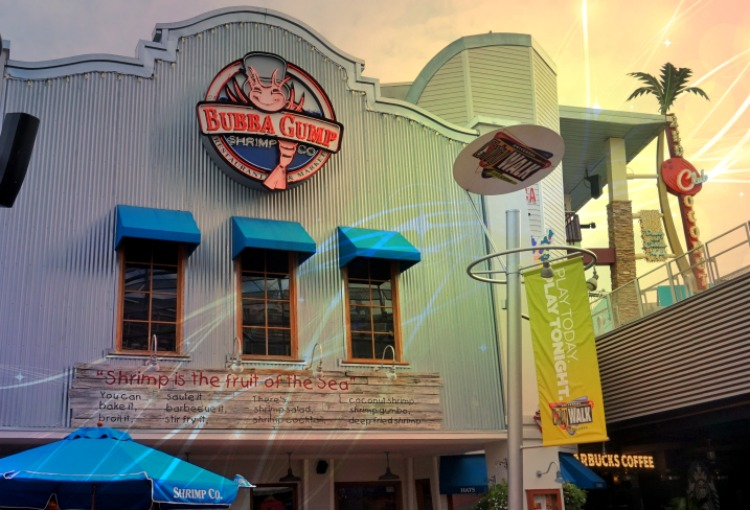 Famous for its burgers, the restaurant also offer lighter items like grilled Norwegian salmon with spicy barbecue sauce, veggies, and mashed potatoes. Delicious! That would my first choice of entertainment at Universal CityWalk, but on the date I visited it was closed for a private event. From what I heard, it happens quite often so check your dates in advance. The show is described as “one-of-a-kind celebration of music and culture that takes you on a musical journey through the life of the King of Reggae.” I have no doubt I would love it. On my list for next year’s retreat! Even though I am not a big sports fan, this place looks so inviting I would go there just for a brew. I love its stylish sophisticated décor and huge indoor-outdoor beer garden. I did not get to visit it this time, but I took a close look and I know I would enjoy it. Not that important to me, but 100 HD screens play a constant stream of sports coverage. Fine with me, but I would rather be sitting facing the Walk and watching people passing by. 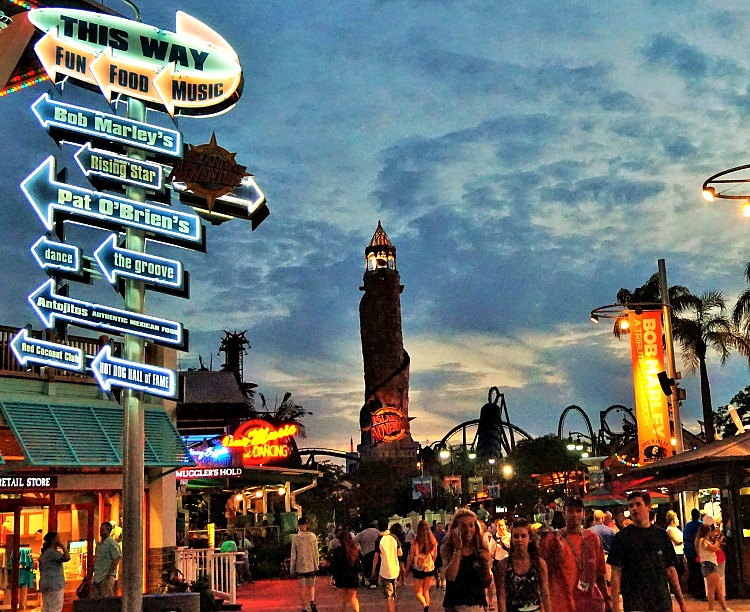 In places like CityWalk I prefer outdoor activities, defined as eating and drinking outside, but do not forget that Universal is all about the movies. 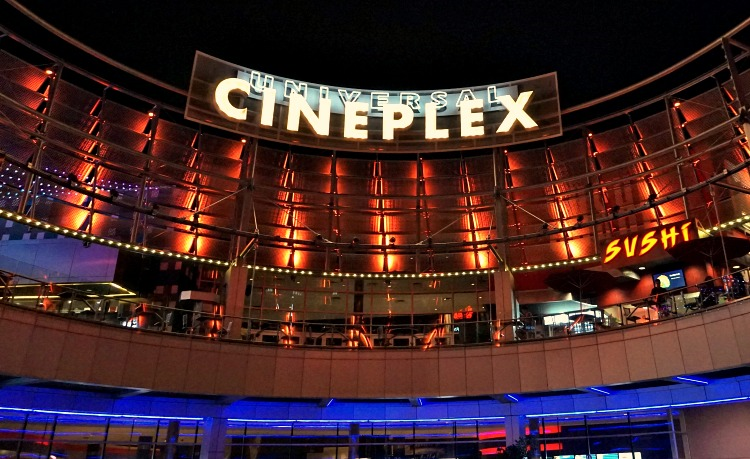 Escape heat or rain or simply take a break from walking to watch the latest movies at AMC® Universal Cineplex 20 with IMAX®! You will get to choose from twenty screens, including an immersive IMAX* Experience theater. Each theater comes with all-stadium seating, high backed rocking chairs, and state-of-the-art projection and sound systems. You do not need to eat and drink to enjoy the area. 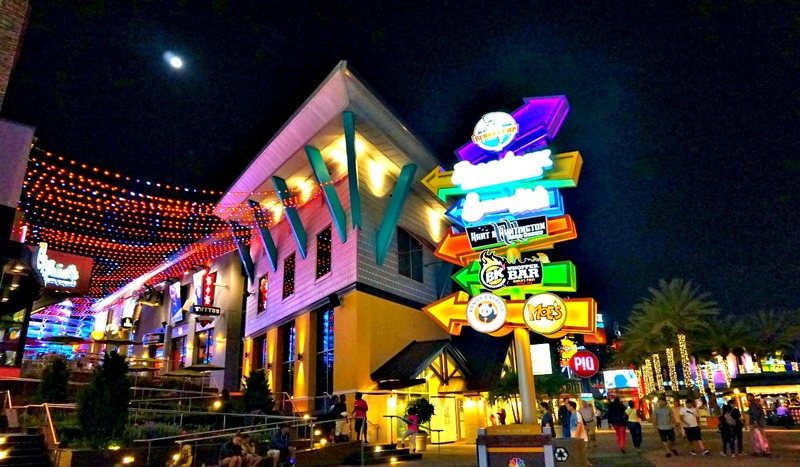 Do what Universal CityWalk suggests you to do – take a walk! It is free, enjoyable, and good for you! At night enjoy the lights and their reflections in the water. If it is hot, do not be shy – run through the water sprinklers like a child. It is fun and refreshing. I did it! Universal CityWalk is best visited after spending your day in Universal Studios theme parks. In summer of 2016, you will be able to check out a new attraction Skull Island: Reign of Kong . I am sure it will make it to the list of thrills for teens in Universal Orlando. Hi Yvonne! Your picture of the Grill and Brew is absolutely beautiful. Thank you! The whole area is stunning at night! Great descriptions and will definitely visit some on next trip there! Thank you! You guys will love it. You open up entire new possibilities with this story—-all new ideas. Well written, Yvonne. You captured it all! It would never be the same without you!